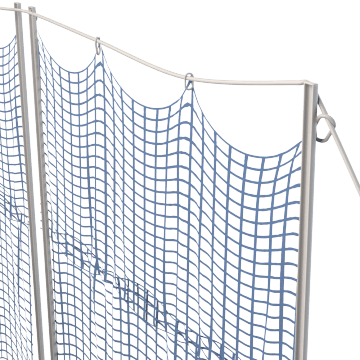 Attach these high strength nets to the sides or bottom of conveyor lines to help prevent items from falling off and protect personnel from accidental contact. They are frequently used on elevated conveyors. More economical than metal or wood guards yet strong enough to safely secure most conveyor configurations. Netting can also be joined together for extended conveyor runs. 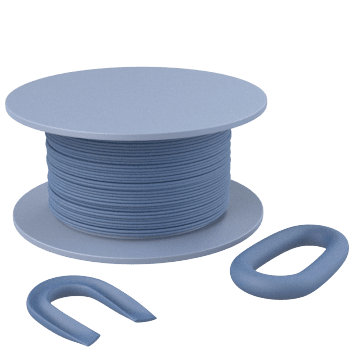 Install with a hardware kit or use your own hardware. Meets NFPA 701 fire retardant standards. 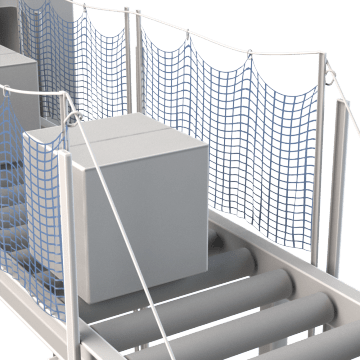 Find the hardware you need to turn your netting into a box-style net to cover the sides and underneath suspended conveyors.